October 19 – The acting head of the Asian Football Confederation (AFC), Zhang Jilong, has accused his predecessor Mohamed Bin Hammam of “intimidation tactics” designed to derail the investigation into alleged financial wrongdoing by the one-time most powerful man in Asian football. Zhang (pictured left) said Bin Hammam was trying to “intimidate and create technical legal issues and objections in the hope that the more serious allegations of secret commissions, bribery, corruption and other wrongdoings are never exposed to the light of day”. Bin Hammam, whose lifetime ban following last year’s cash-for-votes scandal was overturned by the Court of Arbitration for Sport (CAS), was placed under further suspension in July as a result of claims made by an AFC-commissioned independent report carried out by PricewaterhouseCoopers (PwC), which highlighted serious breaches of regulations during Bin Hammam’s 10-year tenure as AFC President, including allegations that he negotiated important contracts on his own and used AFC bank accounts for personal use. That ban ends on October 23 and although it could be further extended, Bin Hammam has gone back to the CAS to have his name cleared once again. Zhang has now written to the AFC’s member associations denying any “conflict of interest in the ongoing AFC Disciplinary Committee action against Bin Hammam” or that he had “personally benefited” form Bin Hammam’s support. He also denied interfering with the ongoing disciplinary process. In an uncharacteristic outburst, Zhang charged that Bin Hammam and his lawyers “do not want the Asian Football Confederation to consider the evidence that now exists and for which Mr Bin Hammam must answer”. “The immediate task I believe is that we must all agree to allow our independent Judicial Bodies to hear the evidence and decide the case against Mr Bin Hammam,” he added. Zhang was responding to a widely circulated emailed letter from Bin Hammam’s lawyers, which asserted that “a group of AFC officials working with FIFA” was “trying to seize control of the AFC” and “trying to take over the disciplinary decision-making machinery in order to make sure that Mr Bin Hammam cannot return to AFC”. Bin Hammam (pictured left) has repeatedly denied all the charges against him and last month reportedly handed FIFA investigators his own independent report that is said to have torn apart the PwC findings line by line. 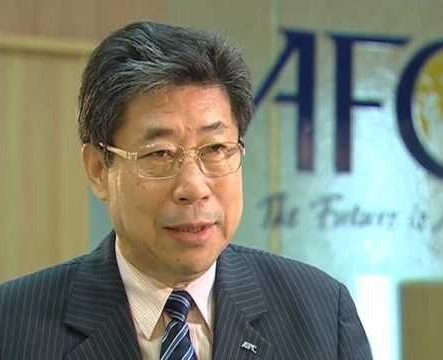 Whoever is right or wrong in this unsavoury and long-running dispute, the issue has totally divided the AFC and Zhang warned that the organisation was at a crossroads. “We have a simple choice to make in the face of the distractions being thrown in our direction,” he wrote. 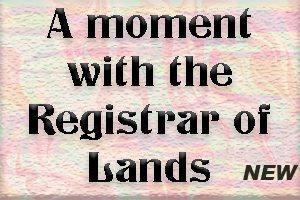 “We can decide to roll up ourselves and do the work such as amending our controlling statutes to put in place comprehensive bylaws and regulations which actually create a system of governance that leads to transparency and accountability. “I believe, I understand and know the direction we must take to get where we want to be – and I believe right now we must stay the course and see the legal process that has been started through to its end. “I never asked to become the Acting President or to take on these incredibly difficult problems and responsibilities. Sen. Cory Booker speaks in Sergeant Bluff, IA: "The short-changing of rural communities in this country is outrageous and it punishes communities - from Native American communities to rural, poor communities."